During this two day workshop, international celebrity makeup artist, Roshar, will demonstrate his approach to avante-garde and editorial makeup. On Day 1 Roshar will teach you how to achieve his signature look through two unique demonstrations. On Day 2, participants will work on a model photoshoot, directed by Roshar, with professional photographer Robert Beczarski. All participants will receive images of their work to build their portfolio. This multi-day prosthetic workshop participants will learn how to mold, create, paint, and apply silicone and/or latex prosthetics. 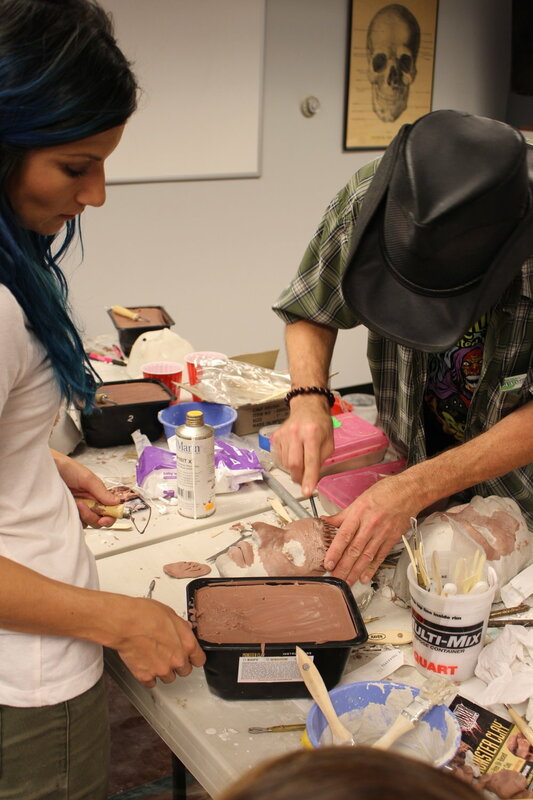 This workshop will be taught by Roy Wooley, Special FX artist and contestant on SyFy's Face Off, Seasons 3 and 5!